If you're looking for something cute or pretty and not the same-old-thing when it comes to gifts for guests, then I've got the shop for you today! 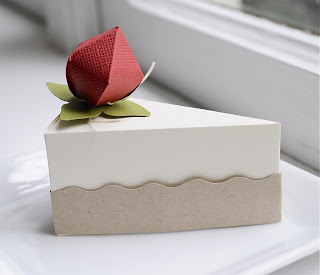 Although it's not all they offer, the the gift boxes and trinket boxes (called paper pastries) Imeon Designs on Etsy has in their shop are some of the most well made and truly unique designs I've ever seen and I think you'll agree! Imeon Designs, by Noemi, is filled with beautiful pieces of paper artwork and not just gift boxes but also some of the best made hand crafted cards on Etsy, in my personal opinion. Themes range from invitations and blank note cards for all occasions to gift boxes and other cute bits. All made of paper with an attention to detail and beauty. YOU CAN CLICK ON THE PICTURES ABOVE TO VISIT IMEON DESIGNS ON ETSY AND TAKE A LOOK AROUND OR, IF YOU PREFER, CLICK RIGHT HERE. You might also enjoy checking out Imeon Design's blog! 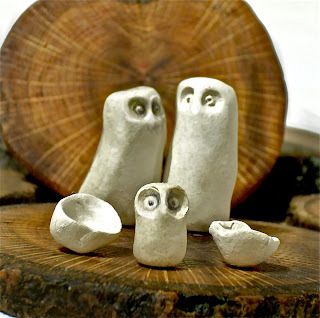 Sometimes owls are cute. (Okay, so, I say sometimes because there are certain times when they're just a little on the creepy side. But... USUALLY owls are cute.) And today's no exception to this in my opinion although the spectacular set of owls pictured to the right really aren't what first drew me to today's shop. They're just one of the many items that caught my attention once I'd "stepped through the door" so to speak. What first drew me was the picture below. I love artwork that speaks to me and reminds me of bits of my past that are meant to be savored but might have been lost in the clutter of everyday life's responsibilities and the build up of hours, days and years gone by. Stephanie Birch, the artist behind today's shop, helped stir one of these special memories for me. 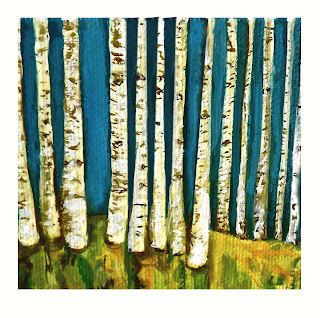 The tall birches and simple beauty of the piece drew my eye and made me smile. I once got lost in a similar vista and spent a few hours lying in the grass staring up at the sky, swaying silvery trunks and fluttering bows of birch trees. The shop, One Gift One World is filled with a number of these serene and beautiful paintings as well as a variety of other earth revering pieces that are worth much more than just a lingering look or two. In fact, they have some of the most beautiful bird art prints that I've ever seen! They also have pieces featuring trees, bunnies, nests and more in both original paintings and prints as well as sculpture. All are created by the extremely talented artist, Stephanie Birch, and a portion of each of the sales through One Gift One World is contributed to charity. The charities include the Natural Resources Defense Council - The Earth's Best Defense as well as The Humane Society and the Arbor Day Foundation. These contemporary nature-inspired original paintings, fine art prints and other home decor items are absolutely beautiful. Stephanie also offers a handful of unique accessories. You'll love the browse through her shop so don't miss out on stopping by to take a look around. YOU CAN CLICK ON THE PICTURES ABOVE TO VISIT STEPHANIE'S ONE GIFT ONE WORLD SHOP ON ETSY AND TAKE A LOOK AROUND OR, IF YOU PREFER, CLICK RIGHT HERE. You might also enjoy checking out Stephanie Birch's blog or the One Gift One World website! I hope everyone had a wonderful Fourth of July yesterday! Today I'd like to introduce you to a member of Etsy who is not just a team member in the BESTeam (Boosting Etsy Shops Team) that I've mentioned here on the blog in the past but is also a fellow member of the QESTeam (Queer Etsy Street Team)! 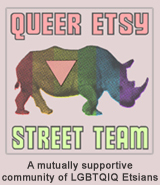 The Queer Etsy Street Team is a very supportive and wonderful team of sellers who fit into the spectrum of the LGBTQ society (that would be Lesbian Gay Bi Transgenders Queer). Since July is Pride Month, it's my honor to be able to introduce to you one of the members of this team during such an important time of year! 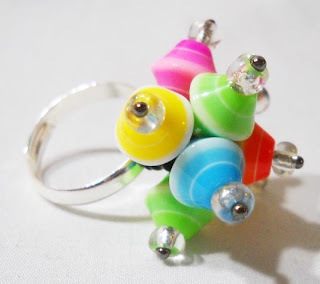 Ellesbeads on Etsy is filled with funky eco-friendly jewelry and accessories including not just Pride Jewelry but also earrings, necklaces, bracelets, rings, charms, brooches, barrettes, bookmarks, cell charms and more. I'm particularly intrigued by the rings they have for sale. As you can see by the picture in this post, they're very unique! 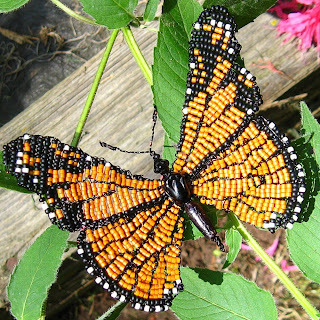 Everything is colorful and bright and absolutely beautiful, much of which is vintage inspired with a twist and often takes recycled goods as well as donated and discarded items and combines them with beautiful beads to create many of the pieces offered! TO VISIT ELLESBEADS ON ETSY, YOU CAN CLICK THE PICTURE ABOVE OR, IF YOU'D RATHER, CLICK RIGHT HERE! You might also enjoy checking out Ellesbeads blog, as well as their Facebook page and Twitter page!